Managing infrastructure has always brought frustration, headaches, and wasted time. That’s because IT professionals have to spend their days, nights, and weekends dealing with problems and manually tuning their infrastructure. Traditional monitoring and support are too far removed from infrastructure, resulting in an endless cycle of break-fix-tune-repeat. Infrastructure powered by artificial intelligence, however, can overcome the limitations of humans and traditional tools. 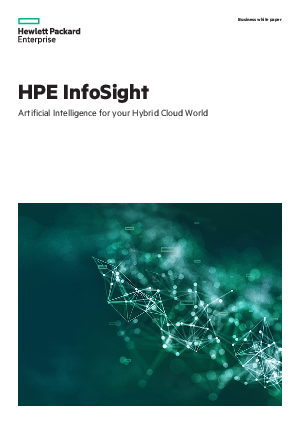 This white paper explores how HPE InfoSight with its recommendation engine paves the path for an autonomous data center in your Hybrid Cloud World.